Incredible images are now within everyone’s reach – even if you’ve never picked up a digital SLR before. 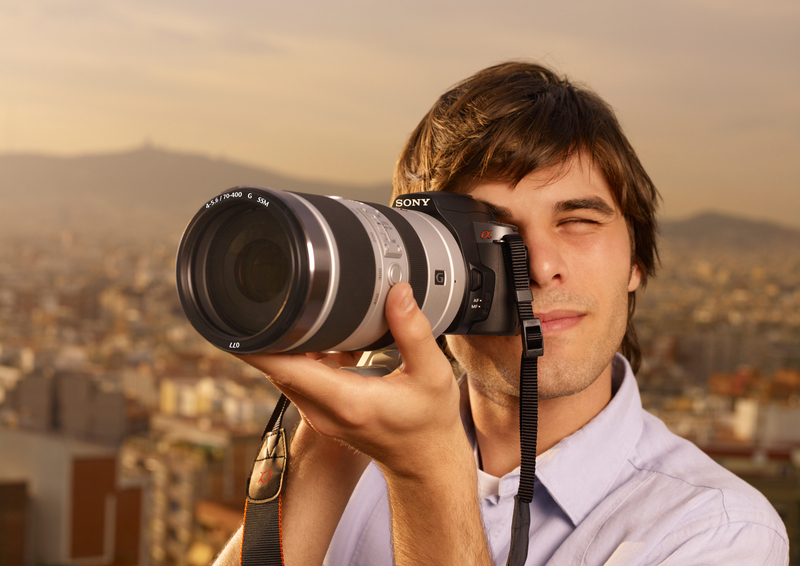 Sony expands the Alpha family with the α230, α330 and α380: three easy-to-use DSLR cameras that make serious picture quality and shooting options brilliantly accessible. All three cameras have been styled for comfortable handling. 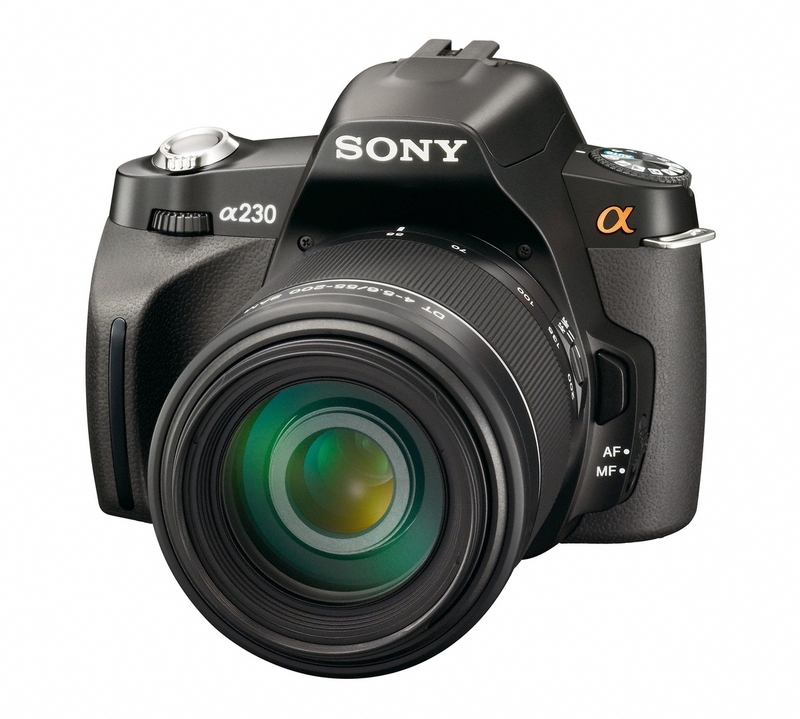 The α230 is the world’s lightest DSLR featuring an APS-C sized image sensor and in-body image stabilisation. Its compact size makes it great for trips away when you want to grab superb pictures without taking up extra space in your luggage. 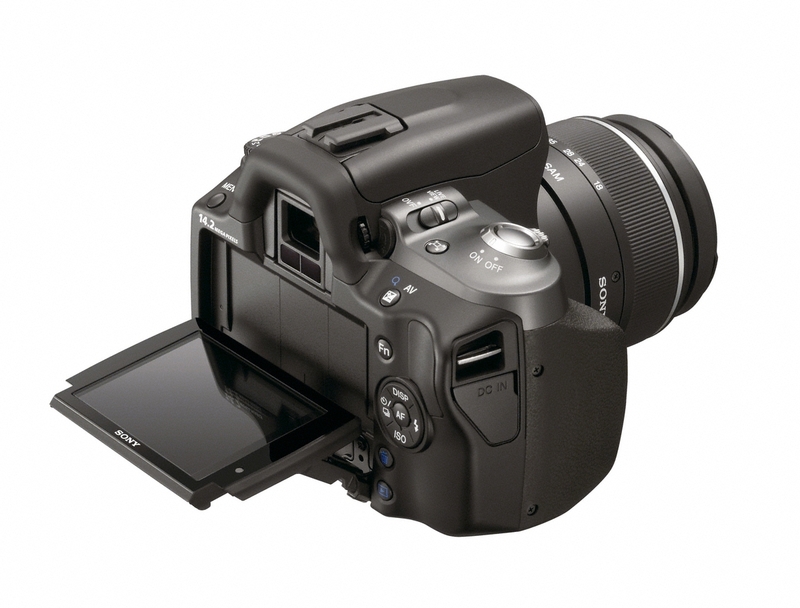 Control layout on all cameras has been revised with fewer buttons, so even first-time DSLR users needn’t feel intimidated by the creative options on offer. Confused by photo jargon? 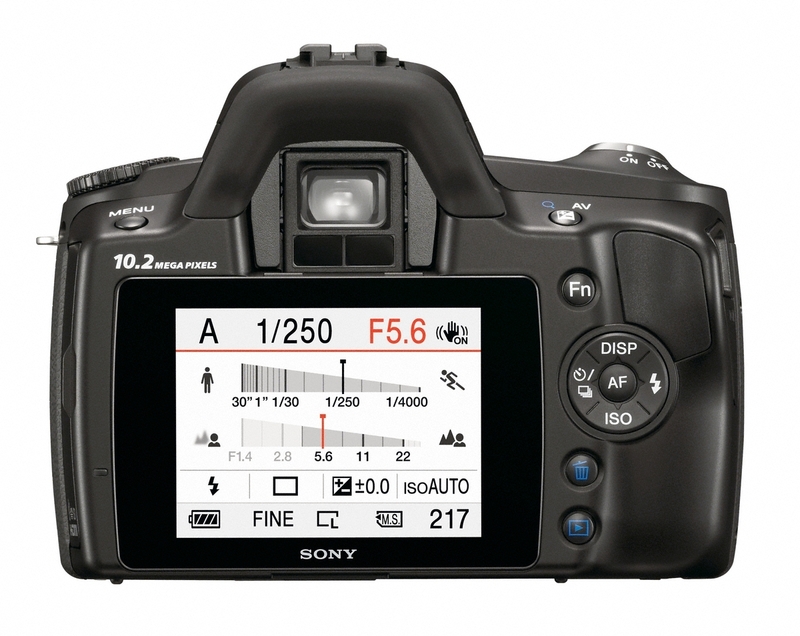 Help is at hand with a friendly new interface on the camera’s clear, bright 2.7-inch LCD screen. 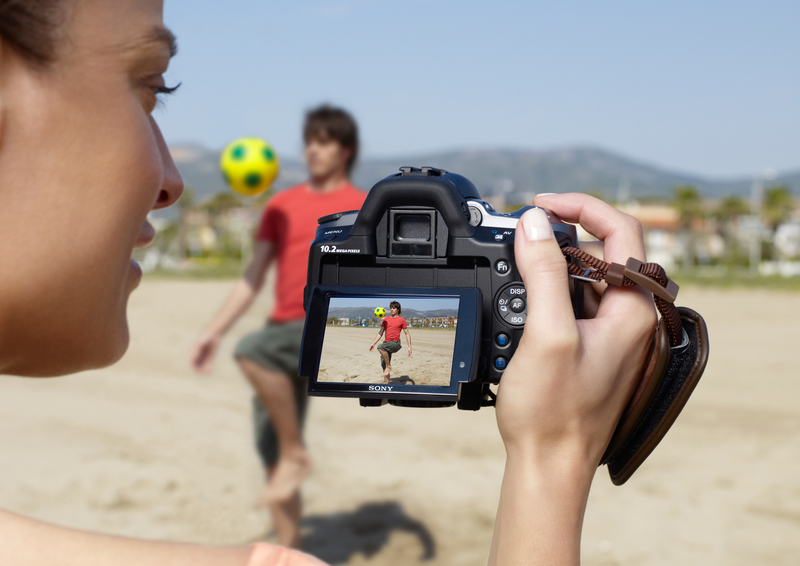 Choose from any of six Scene Selection modes that adjust settings to suit any subject. The on-screen Help Guide explains your selection, complete with a sample image to demonstrate the results you’ll achieve. It can also be tricky understanding the relationship between shutter speed and aperture. 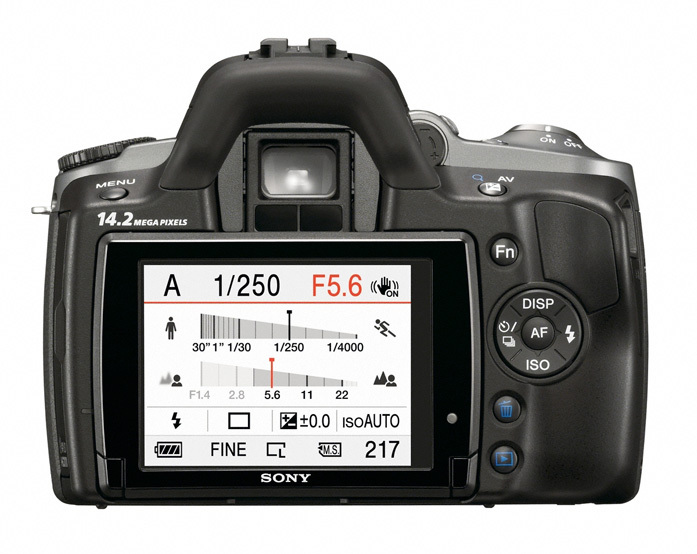 The unique new graphical display shows clearly how your chosen exposure settings will affect the final picture. Despite their friendly styling and compact size, the latest additions to the Alpha line-up don’t compromise on the picture quality, responsive shooting and advanced creative options prized by DSLR enthusiasts. 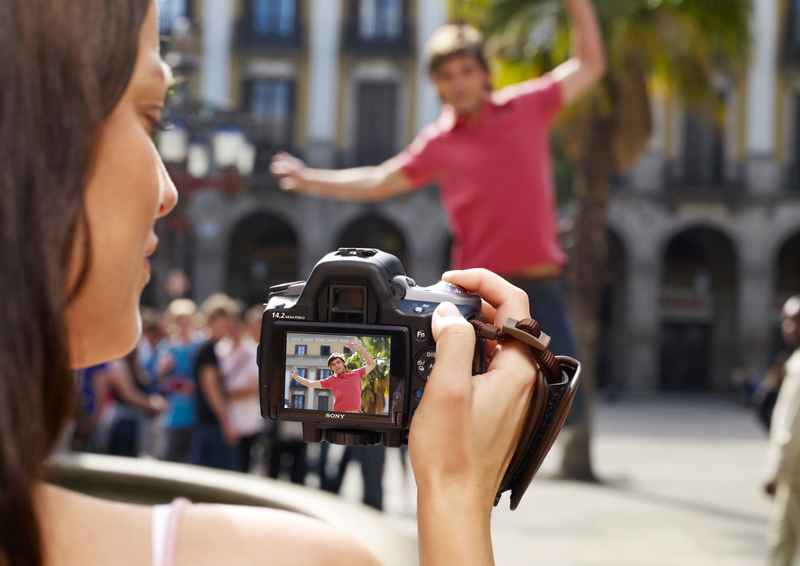 The α330 and α380 feature Quick AF Live View for responsive ‘freestyle’ shooting that keeps pace with what’s happening around you. 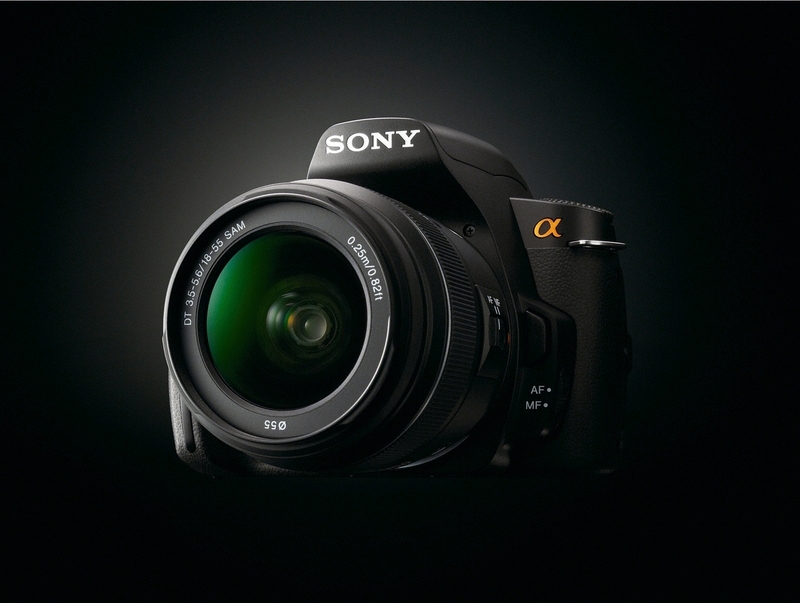 This unique Sony system combines the benefits of live image preview with speedy and accurate autofocus, even with moving subjects. 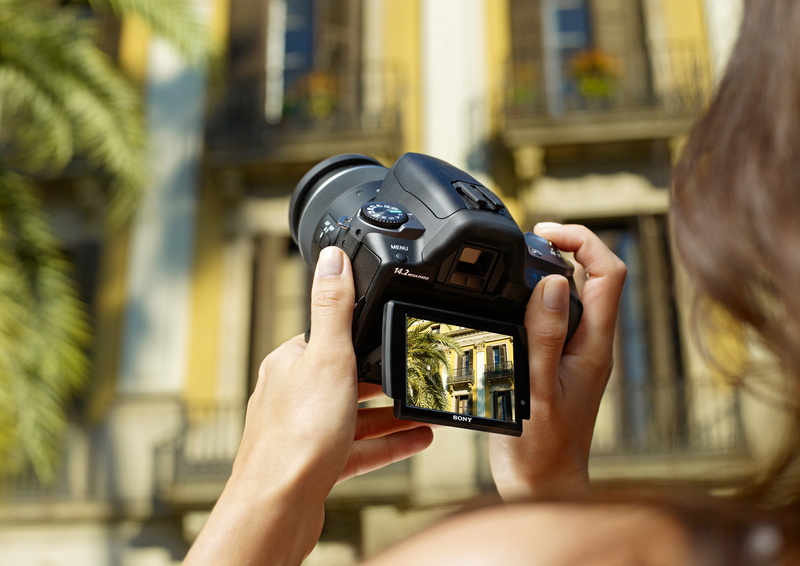 Now even brighter for a clear view when you’re framing shots in daylight, the 2.7-inch LCD screen tilts up or down (not α230) over an extended angle range, increasing options for comfortable shooting in any position. Imaging quality is superb, thanks to the APS-C sized CCD sensor working in harmony with the BIONZ image processing engine found on other α cameras. 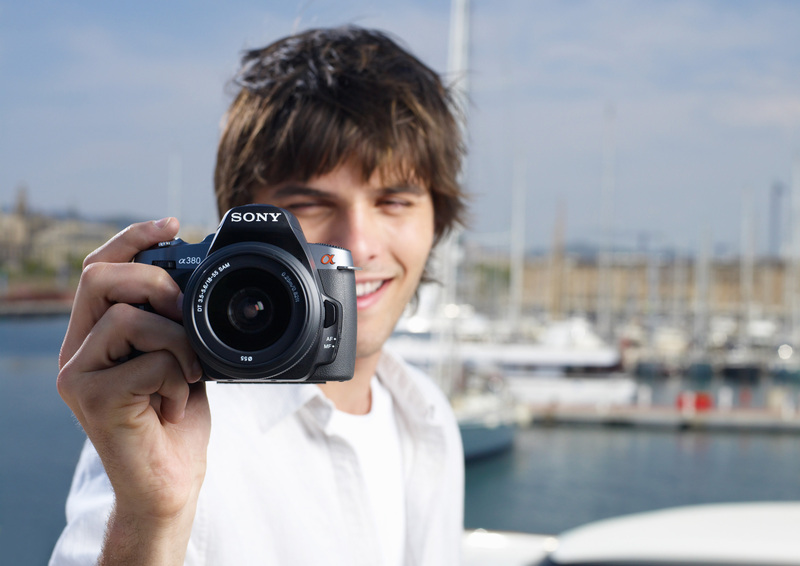 You’ll enjoy flawless, detail-packed pictures with low noise, even when you’re shooting handheld. The powerful BIONZ processor is also key to the new cameras’ speedy responses, allowing continuous shooting at up to 2.5 fps (2 fps in Live View mode – α330 and α380 only). A new self-timer drive mode grabs a quick burst of 3 or 5 frames, cutting the chances of spoiled portraits and groups shots when someone blinks at the wrong moment. Like every other Alpha camera, all new models feature SteadyShotTM INSIDE for clearer pictures when you’re shooting handheld. 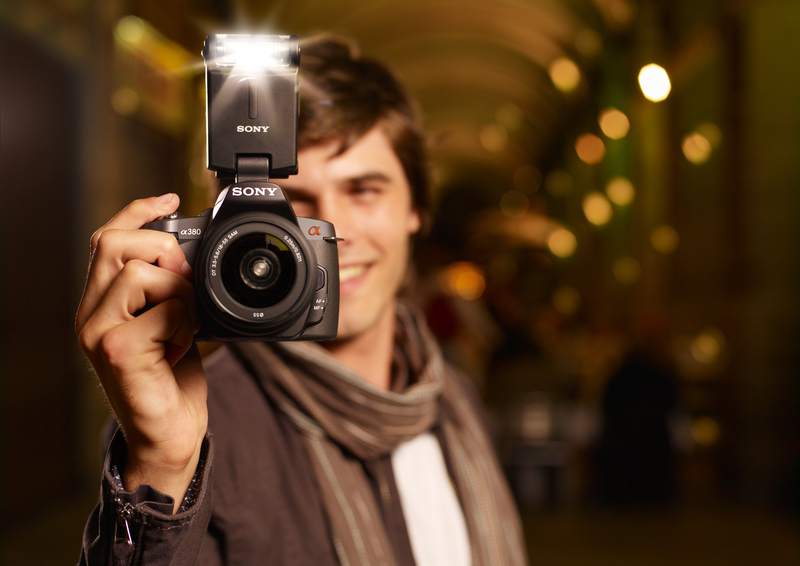 Sony’s in-body image stabilisation corrects for camera shake whenever you don’t have a tripod handy. Best of all, it works with with the complete family of α interchangeable lenses – so there’s no need to invest in bulky, image-stabilised optics. For even better looking pictures, a newly-enhanced D-Range Optimiser intelligently adjusts exposure values in scenes containing very bright image areas and deep contrasting shadows. 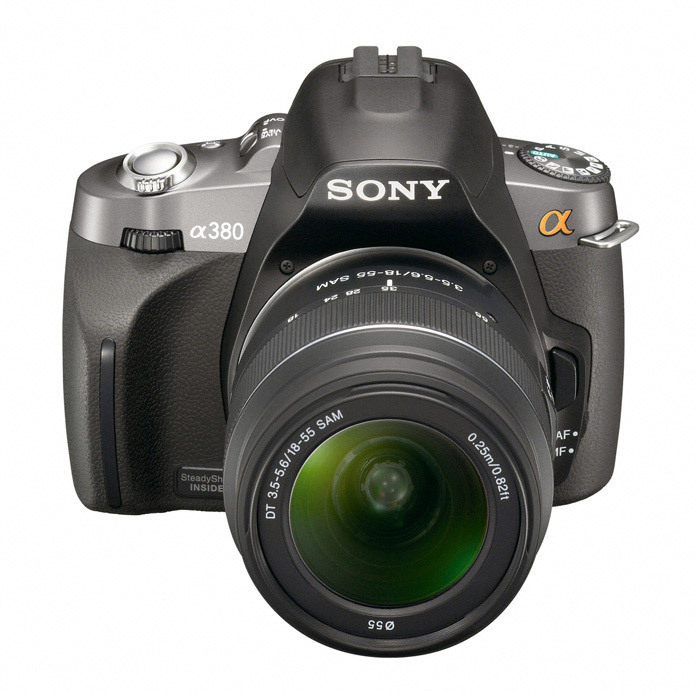 You’ll see the difference with beautifully-exposed results, even in tricky against-the-light shooting situations. All models connect to any HD Ready TV for a detail-packed big-screen view of your photos. PhotoTV HD support ensures even better-looking still image reproduction on compatible BRAVIATM models. In an Alpha first, BRAVIATM Sync compatibility now allows control of slideshow and other camera playback functions in comfort using your TV remote. 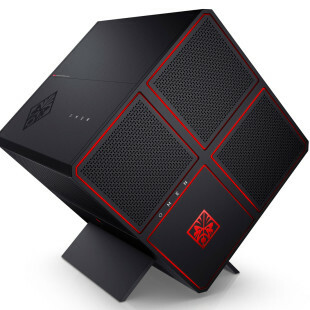 Alternatively, slip out the camera’s optional Memory StickTM to share and enjoy your images with a growing range of other HD viewing possibilities – from VAIO® and PLAYSTATION®3 to digital photo frames and photo printers by Sony. For maximum convenience, all new models accept Memory Stick PRO Duo and Memory Stick PRO-HG Duo media as well as SD / SDHC format memory cards. (NB: miniSD, miniSDHC, microSD, microSDHC media require optional adaptor). 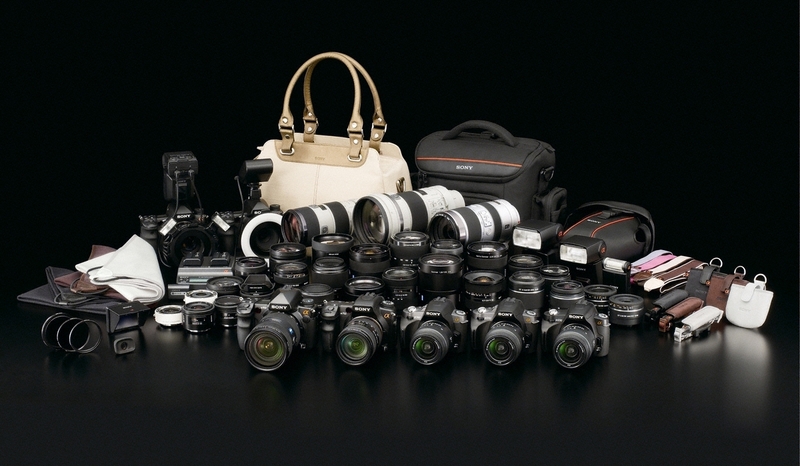 There’s a growing range of beautifully designed α system accessories to help you get more from your DSLR camera. 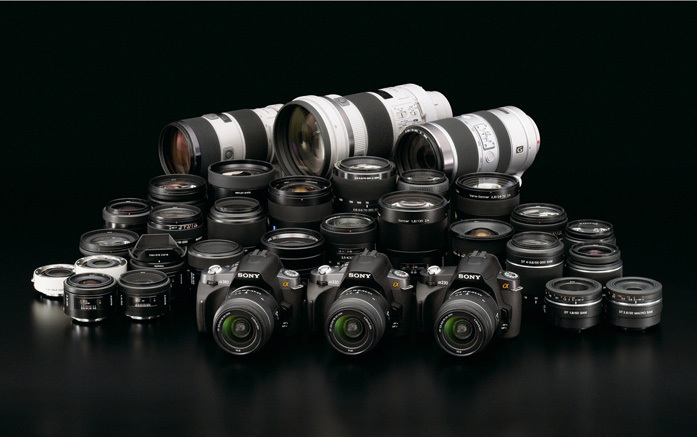 These include a choice of affordable, compact new lenses, including two telephoto zooms plus macro and portrait models. They’re joined by the HVL-F20AM, a slim and light external flash that supplements your Alpha camera’s built-in pop-up flash.